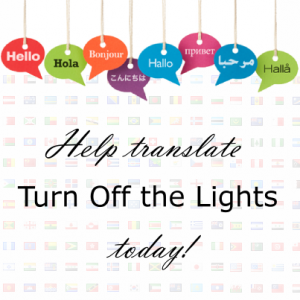 Which languages is Turn Off the Lights browser extension available in? /About the Project /Browser extension /Which languages is Turn Off the Lights browser extension available in? How to improve the translation language? Do you see a mistake in the text of your language, a typo or even a grammar error. Go to the Turn Off the Lights translation project and improve the translation string on that web page. Also you can vote to what is the best string for the local language.